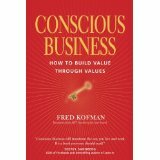 Conscious Leadership: For People and Businesses Who Are Ready To Thrive. 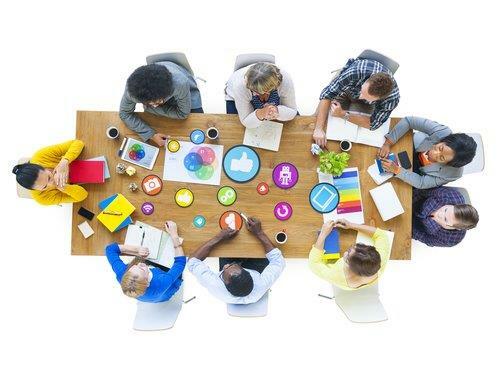 On-site or online leadership development programs that introduce powerful mindsets and Conscious Business tools used by Fortune’s “100 Best Places to Work” list. Modules customized to organizational priorities. Outcomes include higher trust relationships, crisper commitments and accountability, increased leadership integrity, and yes – happier employees. One-on-one coaching included with most programs. Founded on the premise that everyone is a leader – “leading from wherever we stand” – these programs introduce tools and practices for individual contributors who don’t have employees reporting to them. Designed to emphasize the powerful impact each individual has on his/her work environment and the quality of the organization’s output. Hugely successful and introduced throughout many industries, this program empowers employees and their contributions and helps them identify their personal success factors. Sue managed a leadership program for a 4,500 person division. I learned immediately that she was a true expert in her field. With every interaction with our senior executives and training team she was able to communicate respectfully, graciously and objectively, no matter how tough the conversation. She is a a master in her field, and any company that engages Sue will benefit enormously from her exceptional skill. Ready to become a Conscious Business Master Trainer/Coach? and watched all the videos. Now it’s time to teach others. Contact us for program details, licensing options and fees. Mastering Self, Relationship and Task as a business, relationship, and mindfulness practice. Building a Culture of Unconditional Responsibility: 3 practices to develop an organization of Players versus Victims. Making and Keeping Commitments: Protocols for creating a culture of high-integrity agreements and increased accountability. Game-changing for organizations. Constructive Negotiation: Steps to transcend entrenched conflicts regardless of the complexities, maintain integrity in the process, and keep relationships intact. Inviting and Sharing Feedback: Guidelines for skillful conversations that help develop others, strengthen the partnership, avoid common minefields, and build trust. Balancing Truth-telling with Listening: A key tool of speaking one’s truth with courage while balancing it with openness and active curiosity of others’ views. Trust: What is it? How do we become trustworthy? How do we assess others’ trustworthiness? 3 important levels in business relationships. Self-awareness is the foundation. “Success Beyond Success”: Each person can create behaviors that withstand the biggest and most challenging external pressures and deliver success under any circumstances. Learn how. I cannot begin to tell you the step-wise change you’ve helped us make as a result of your teaching and coaching. The difference in our team communication is remarkable. Every session you did was the highest quality possible. I am so, so grateful. Interactive keynotes designed to give audiences an experience of the subject. Challenging the traditional view of leadership, this keynote focuses on the powerful leadership presence every person can manifest when bringing the best to Self, Relationships, and Task. Who hasn’t experienced when a desired position, promotion, or expectation has fallen short of what we had hoped? But success beyond success can be achieved, no matter the conditions. Based on the work of Victor Frankl with a powerful exercise to give every person in the room a “takeaway” that can’t be taken away. How do we achieve true integrity in the eyes of others every day? Beyond the exalted sound of the word integrity, what can we DO to live it and feel the satisfaction that comes from it? This keynote introduces a specific framework and practices to help boost being one’s best, bringing out integrity not only in oneself but in others. What a surprise when people find out ‘intractable differences’ can be transcended with the application of a tool that helps discover untapped common ground. A powerful process to experience and one that can be used in every relationship. This keynote requires at least 90 minutes. The #1 complaint in corporate environments is people not following through on commitments. This affects work output and working relationships alike. This keynote introduces a tool that changes everything and gives people protocols for guaranteeing better commitments from and to others. How can we see our own thoughts more visibly before we say something we regret? Are there ways we can say what we really mean and ask what we really want without damaging the relationship? Yes! This keynote demonstrates how. Sue has been teaching Conscious Business all over the world, and every one of her clients has been absolutely delighted. She is an exceptional coach and consultant. I am very proud to have her as my colleague in this effort to bring wisdom and compassion to the business world.